Squirrels are so cute, aren’t they? Well, they are nearly exactly the same as rats when it comes to their capability of causing us problems! There are a few main species we have in the greater Vancouver area. The Eastern Grey squirrel is an invasive, not natural, species here. It is the larger one, and comes in different colours, not just grey. The Douglas squirrel is smaller and can do just the same amount of damage as its cousin. These are pests. 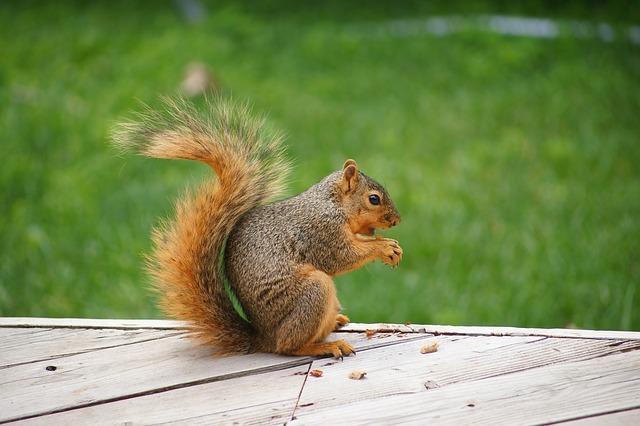 Squirrels are like rats, raccoons, wasps, bed bugs, and every other pest. Damage and disease come with squirrels. The good news is they can be removed from the area humanely and efficiently. There are also lots of preventative measures we can take to avoid squirrel or rodent problems altogether. Foliage and tree branches touching the roofline of a building is the biggest no-no with rodents. The other main issue is that buildings are built with holes! It’s true! Brand new houses and buildings are constructed leaving actual animal-sized holes. Pest Boss loves helping clients proactively avoid pest problems before they start. And squirrels are of course dealt with humanely. Call us at Pest Boss and let’s talk about them!